This small province belongs to Maritimes region of Canada. Nova Scotia is home to more than 3,000 small islands, including Nova Scotia peninsula and Cape Breton Island. Halifax is the capital city, known for its strong culture and arts. Living standards of Halifax residents are quite high, which is another reason for its popularity. While connected to the sea, this province is famous for its mouth-watering cuisines and coastal beauty. 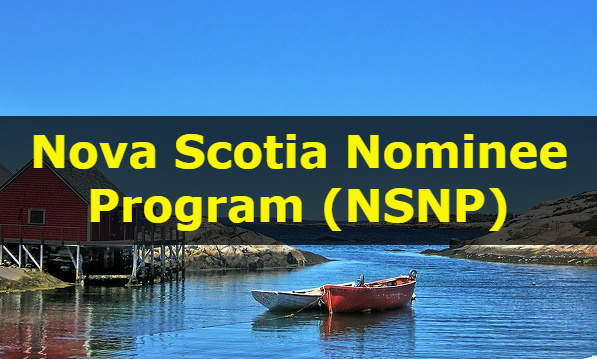 The NSNP is Nova Scotia’s Provincial Nominee Program. Through this program, prospective immigrants with skills and experience may receive a Nova Scotia Provincial Nomination Certificate, which speeds up the overall immigration process. This stream is for individuals, having a valid job offer from a Nova Scotia employer. NSNP accepts applications from skilled, semi-skilled and low-skilled workers under this stream. Nova Scotia Demand: Express Entry stream is temporary closed and intake of new applications for the period is on halt. Nova Scotia follows the federal government’s Express Entry immigration selection system. This process is quite effective in order to choose eligible candidates for ‘Nova Scotia’s Demand: Express Entry’ stream. It relates to individuals, who are highly skilled and possess a post-secondary education degree. Having a necessary qualification will help such immigrants to settle successfully in Nova Scotia. There are 29 eligible occupations in this stream and applicants can apply to any one out of these. Nova Scotia follows the rules of federal government’s Express Entry immigration selection system to select eligible candidates. This selection system works in such a way, which allows highly skilled applicants to seek permanent residence in this province. However, work experience of at least one year under Nova Scotia employer is essential to apply. The International Graduate Entrepreneur Stream is a specific program for graduates. The requirements to apply under this stream are as follows. The Nova Scotia Nominee Program (NSNP) Entrepreneur Stream targets those individuals, willing to acquire or start their own business in Nova Scotia and settle permanently.